While updating some info on Nihil’s early posts I came across a post featuring an image by Alex Kisilevich. It seemed weird to have a post with a single image and as I went looking for more, I found not only that I made a second post a year after that but, and that’s the important thing here, what he’s doing now took me by surprised. His artwork did not suffer radical changes. However, I can’t help but wonder what his artistic process has been like, in order to make him closer to what seems to be a more complete understanding of how content and form interact in order to provide an aesthetic experience. 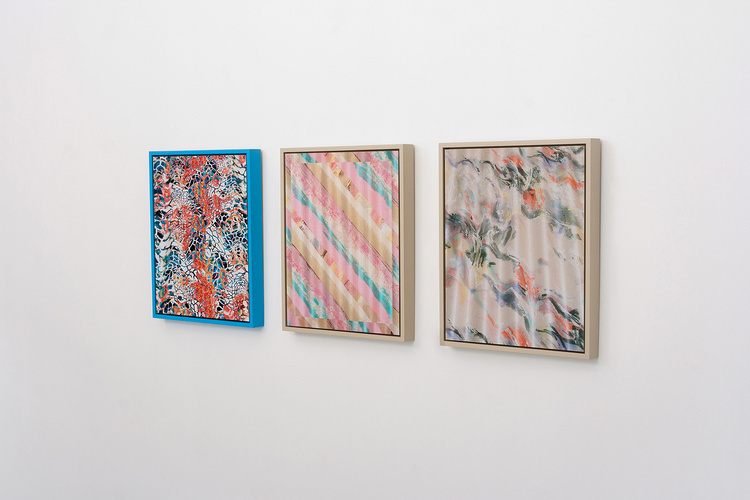 While his first works were very much about an absurd dimension, where play and humor participate and humans are the target, he now seems to have redirected that humor to materials, instead of making such an effort to introduce those qualities as elements within the composition. © Alex Kisilevich, Lunar Spots, Modified for Electrical Outlet, 2012-2014. © Alex Kisilevich, Brick Wall, 2014. © Alex Kisilevich. 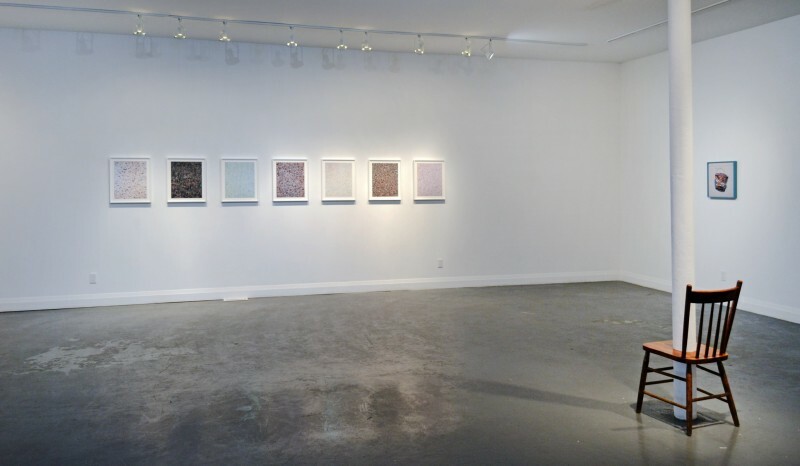 Curtains 1, 2 & 3, 2015.
installation view at Angell Gallery, 2014. © Alex Kisilevich, Under Pad #1. © Alex Kisilevich, Under Pad #6. © Alex Kisilevich, Under Pad #7.